Turn Off Your Credit Card—With a Remote! Credit cards could benefit from something found in certain cars: a disabling device. Remotely, you press a button, and the thief’s stolen getaway car dies. OnDot Systems may have come up with the credit card equivalent. The 2011 startup company has created an app called CardControl, which apparently allows you to turn your credit cards on and off. Cards normally are always “on.” You can use them, and so can thieves. Wouldn’t it be nice to just press a button and disable the card? It would create a lot less worry about stolen plastic. The app has some nifty features beyond just the binary choice of on or off. You can set spending limits. You can prohibit certain types of charges. These features might be particularly useful if you have made someone an authorized user on your card; if you are a cosigner; if you are caring for someone elderly or mentally ill who still needs access to credit; or if you yourself are concerned about losing control of spending. The app apparently works with any kind of card. The trick is that the company will provide the product directly to the banks, so your bank has to offer the service. This is a smart revenue play, because the company gets more money from the banks than if they just charged money for the app. The reason is that banks are just as happy to have these features as you are. They are all geared toward the same basic concept: limiting the use of credit by unauthorized or higher-risk individuals. To the banks, it’s another risk management tool for which they are happy to pay OnDot. The company is still in the pilot phase, and has worked with just one bank. The results are amazing. It was reported that fraud expenses fell 60%, but average spending increased 48%. That was a big surprise to OnDot. There are some downsides to the product, however. While the app ties EMV-enabled cards to its internal GPS feature—allowing you to find a lost card—it also raises privacy concerns. As usual, it will be up to each consumer to weigh the benefits of locating a lost or stolen card against the notion that their whereabouts can be tracked by a third party. There’s also the possibility that OnDot’s system gets wonky or goes down. If that affects credit card transactions in any way—such as leaving cards in the “OFF” position—there will be a lot of angry consumers, merchants and banks. OnDot has convinced several processors to join their initiative, and those processors bring along more than 10,000 banks. For now, the product will be limited to regional and smaller banks. Once it gets beyond beta testing, and high-volume, real-world transactions get a track record, the big banks may step up. 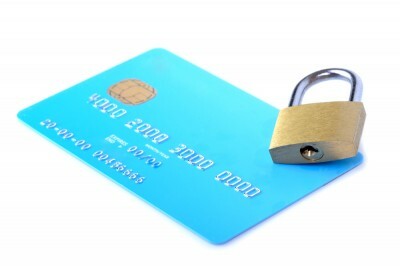 Credit card image via Shutterstock.